Let Payr make sure that you always have the best suppliers and deals, so you don´t have to. With Payr you are always on top of your finances and you pay all your invoices seamlessly - no matter which bank you have. Test your personality profile in-app and get tailored financial advice that takes your economy to the next level. Get help finding and switching to the insurance, loans, mobile subscriptions and power suppliers that match your personality, economy and preferences, with minimum effort from you. Get an overview of your payments in the app sorted by month. With a quick glance you have full control of both upcoming and historical payments. You can at any time request offers from providers in-app, and you easily switch to the providers that offer the best deals. Get peace of mind with minimum effort. Receive notifications when you receive electronic invoices in the app, and pay them at a touch of a button. Pay your paper invoices in seconds using your mobile camera. You can easily pay using your preferred credit- and debit card, and switching between the different cards is a breeze. 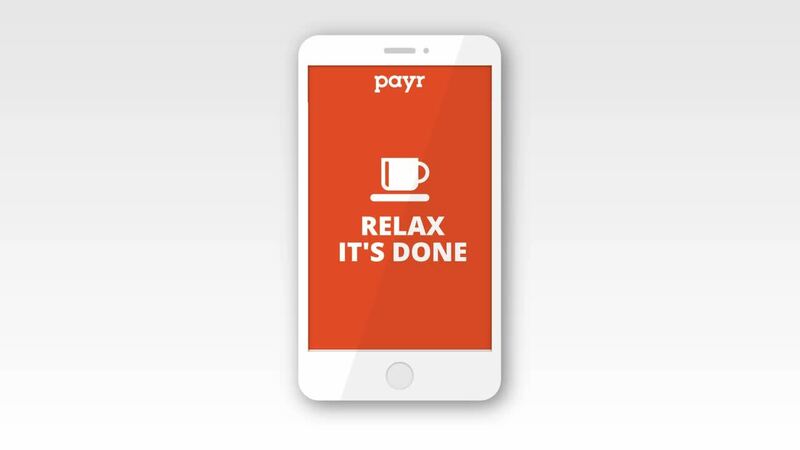 Payr is an app that suits everyone, whether you are passionate about personal finances or it gives you the shudders just thinking about it. Our mission is to improve your financial life by making it easier to make smart financial decisions and cut the time spent doing them. Since our release in 2017 more than 70,000 people have downloaded the app to simplify their life. Being trusted with your personal finances is a big responsibility, and something we take very seriously. Payr has a payments operator license from the Norwegian FSA, and we follow the same strict security procedures as the banks. We never store any of your payment card information. If you at any time have questions you can´t find the answers to in our Support pages, you can reach us through our in-app chat, email, online chat or on the phone. Incredibly fast and easy. High five! Do as more than 70,000 others. Download the app for iOS or Android today.